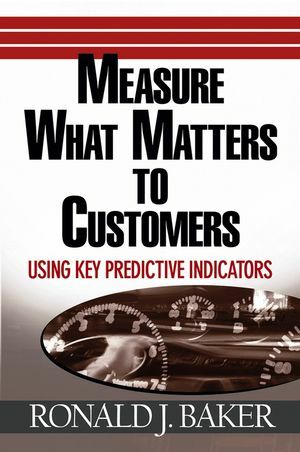 Measure What Matters to Customers reveals how to capitalize on Key Predictive Indicators (KPIs), the innovative measures that define the success of your enterprise as your customers do. 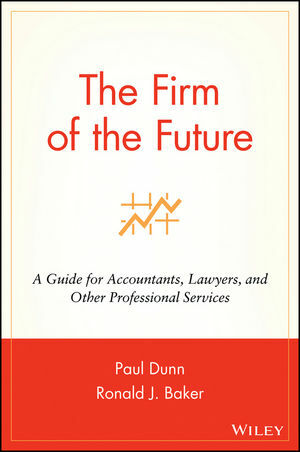 If you want to increase your company's profits by working smarter, this is the book for you. 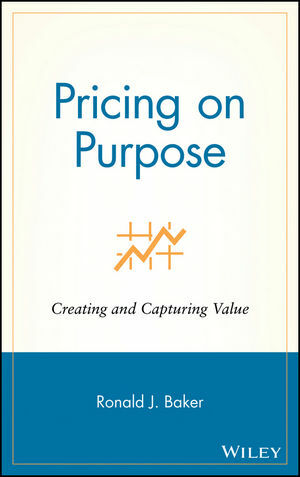 RONALD J. BAKER, CPA, is the author of The Firm of the Future and Pricing on Purpose, both from Wiley, and Professional's Guide to Value Pricing, Sixth Edition. He is founder of VeraSage Institute, a think tank dedicated to teaching value pricing to professionals around the world. Baker is a frequent speaker and consultant to professional service firms on implementing Total Quality Service and Value Pricing. He has been appointed to the AICPA's Group of One Hundred, a think tank of leaders addressing the future of the CPA profession, and was named to Accounting Today's 2001, 2002, 2003, 2004, and 2005 Top 100 Most Influential People in the profession. 1 The Canary in the Coal Mine. 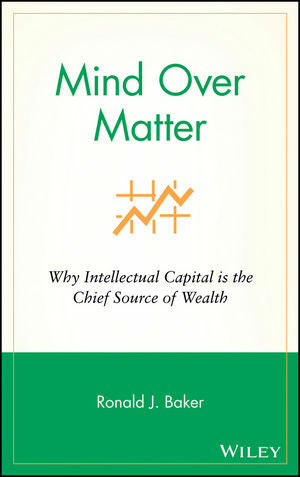 2 The Economy of Mind. 3 The Old Business Equation. 4 The New Business Equation. 5 Pantometrists: Counting for the Sake of Counting. 6 The Gospel of Efficiency. 7 All Learning Starts with Theory. 11 Developing KPIs for Your Company. 12 Increasing Knowledge Worker Effectiveness. 13 Managing by Results versus Managing by Means. 14 Human Capital, Not Cattle. 15 The Moral Hazards of Measurements. 16 The Dreamers versus the Pantometrists.